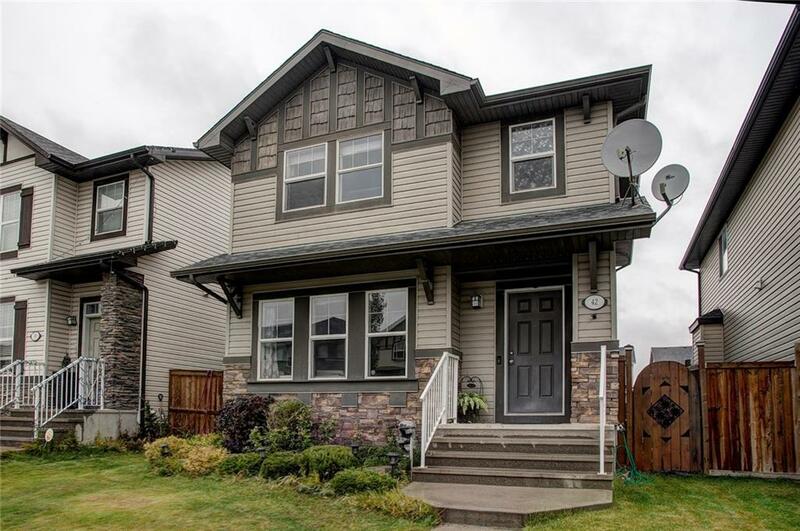 DESCRIPTION Check out this gorgeous & immaculately well kept home located in Skyview. Passing through the foyer will lead you to the well-lit living room before coming across the gem of this home, the kitchen. The kitchen is where the modern colour palette & open design really shine. The kitchen features plenty of storage space inside the elegant espresso cabinets & pantry. You'll also notice heated tile floor here in the kitchen! From here you can step out on to the deck and the back yard where you'll notice the DOUBLE GARAGE; perfect for keeping your vehicles off the street & out of the weather. Making our way to the upper level, here we find 3 spacious bedrooms, including the master bedroom which features tons of closet space as well as its very own 3-pc ensuite. The lower level features a massive family room perfect for an entertainment centre as well as laundry & a 4-pc bath. The home is located close to a school, playgrounds & public transportation. Home for sale at 42 Skyview Point RD Ne Calgary, Alberts T3N 1B6. 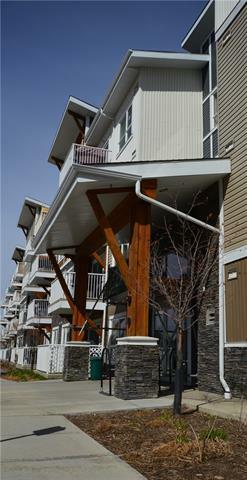 Description: The home at 42 Skyview Point RD Ne Calgary, Alberta T3N 1B6 with the MLS® Number C4221858 is currently listed at $429,900.